impart a personal vision - a sense of style and self-expression that is indelibly his own. spirit he pours into his one-of-a kind sound. many original compositions, has inhabited every nook and cranny of his horn. 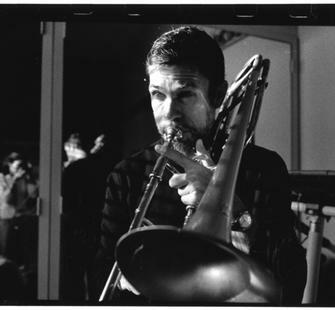 tones, he played a major role in reawakening interest in the instrument in the '80s. induces smiles with his unusual split tones and screech effects. Creative Musicians, with whose illustrious members Anderson later played extensively. Brown, Sly Stone and Jimi Hendrix. leading critic, newspaper columnist and author). thump of the second line dancers' feet and the other tuned to the music of the spheres. seek to serve music not only by performing but by helping to inspire the next generation. Music America. In 2001 he became a John S. Guggenheim Fellow.